Bangalore and Ooty Tour | Call @ +91-993.702.7574 For Booking. Bangalore has a year-round pleasant climate and that’s what makes it so special. The nearby hill station Ooty has some amazing scenic picturesque locations, which makes you adore its natural beauty. The Bangalore and Ooty Tour will take you through the capital city and the “Queen of hill stations”. On one hand the grandeur of Bangalore’s Botanical Gardens leaves the tourists awe-struck and on the other hand, the Rose Garden of Ooty enchants them. 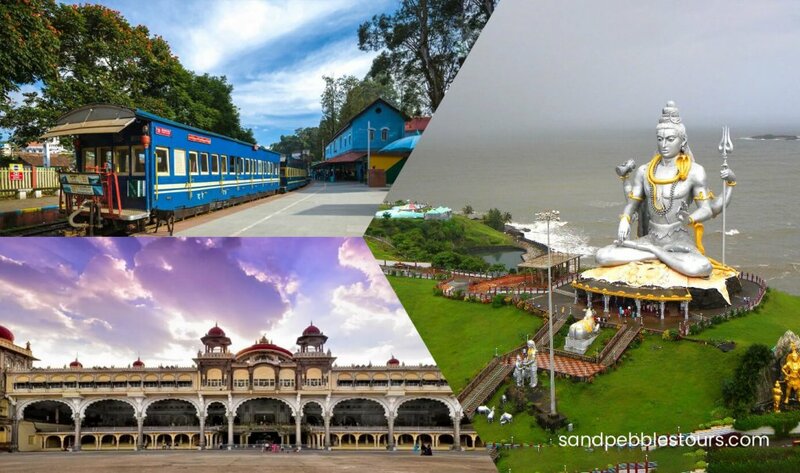 If you’re someone who is looking for a similar experience, you must take a Bangalore and Ooty Tour. Our 5D/4N Bangalore and Ooty Tour package lets you enjoy the exquisiteness of both the destinations. Get enraptured by the modern edifice and the mystic temples and monuments. Ooty which consists of Botanical gardens, dense green hills and lovely and colourful bed of flowers. Some of the best destinations in this part of the country are included in the Bangalore and Ooty Tour. Our package covers all the destinations which you’re going to cherish. 04 Nights Program | Tour Code: 035. Arrive Bangalore, straight drive to Mysore en route visit Tipu’s Summer Palace and Fort at Srirangapatna. Check-in to the Hotel. Overnight at the Hotel. After breakfast drive to Bangalore, on arrival check into Hotel. Evening proceeds for half day city tour of Bangalore including Bull Temple, Lalbagh, Botanical Garden and drive past Vidhana Soudha, Overnight Hotel. After breakfast depart to Bangalore Railway Station or Airport to catch your flight for your next destination.